Rock Out – Rock Climbing in Mission Valley and Beyond! Nope, we’re not talking rock concerts, but rather rock climbing! 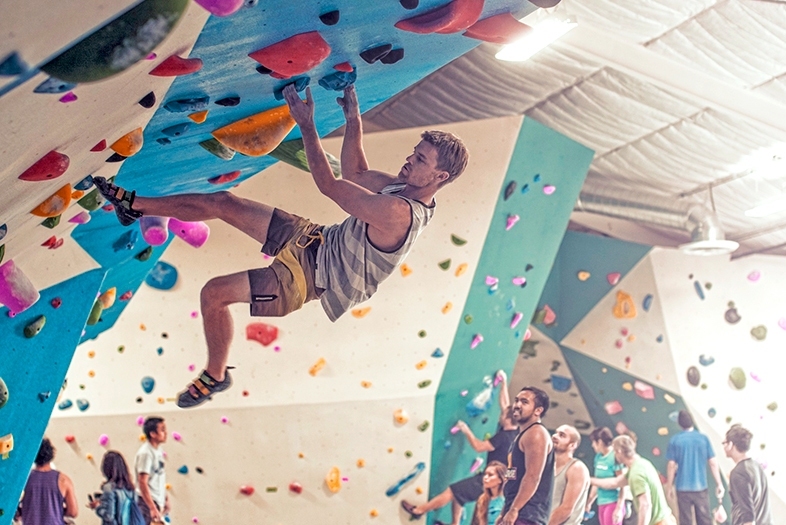 Located in the center of San Diego, within easy reach of most major attractions and activities, Mission Valley is the gateway to some of the best rock climbing and bouldering in Southern California. If you’re looking for some serious face climbing (ascending a vertical rock face using finger holds and edges), scaling the best new handcrafted rock climbing wall in San Diego or just hiking to amazing photo-worthy rock formations (bring your camera! ), Mission Valley and environs has something for everyone. The new Grotto Climbing & Yoga is perfect for all experience levels (translation: you don’t need to be a pro). This urban rock climber’s dream features a massive 7,000-square-foot climbing/bouldering wall with 13,000 handmade holds that mimics San Diego’s rocky climbing trails. 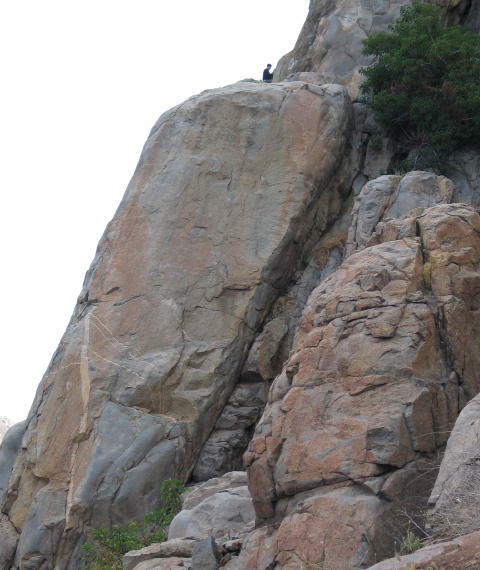 This is the spot to hone your rock climbing skills before heading into our great outdoors. Afterward, relax your weary muscles and Zen out in their studio offering 11 types of yoga classes. Check out this cool time-lapse video of the action at Grotto Climbing! 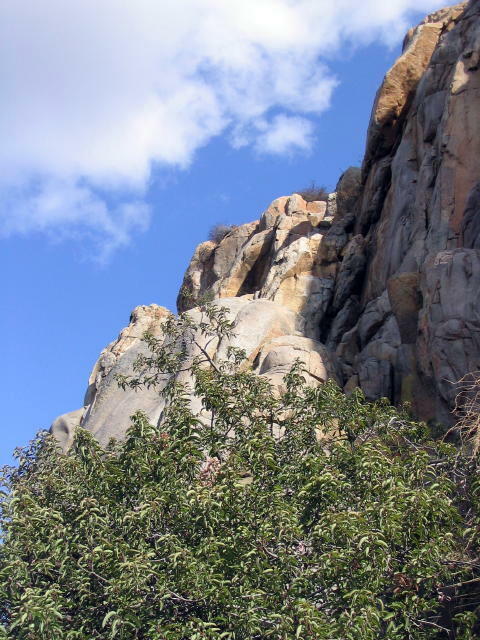 For climbers ready to ascend real rock walls, Mission Gorge, part of Mission Trails Regional Park – one of largest urban parks in the U.S. – is San Diego’s best and oldest established climbing area, encompassing over two miles of the San Diego River. The granite slopes here are steep (40 to 80 feet high) and slick, offering a mix of crack and face climbing. The one-mile Climber’s Loop Trail leads to a great mix of rock climbing areas, including a popular Main Climbing Wall, The Thumb, Skyline Pinnacle, Lunch Rock, Limbo (full of granite towers) and Middle Earth (calling all J.R.R. Tolkien fans!). 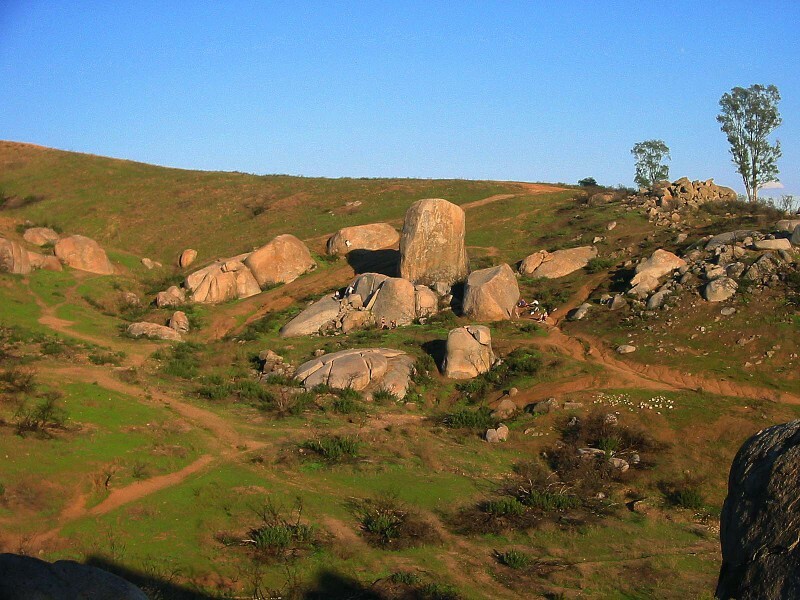 A bouldering playground at Santee Boulders! 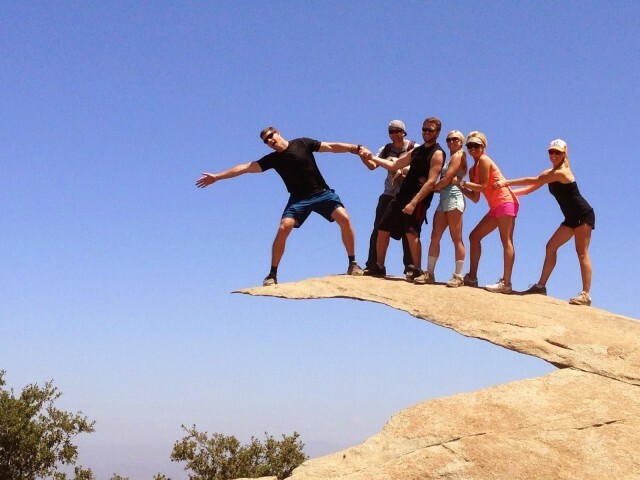 There’s also the famous Potato Chip Rock on the Mt. Woodson Trail in Poway, which attracts shutterbugs galore. Our friends at So San Diego Tours did a great write-up on the hike up to this aptly named, narrow strip of stone.